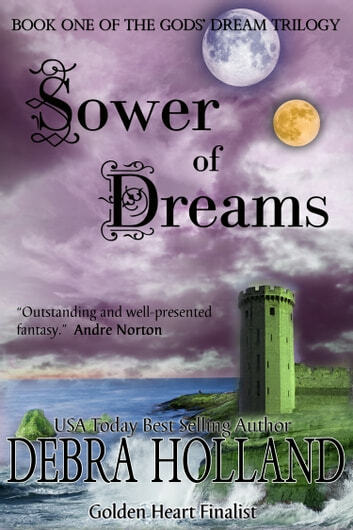 A Fantasy Romance Endorsed by Andre Norton, The Grand Dame of Science Fiction and Fantasy. 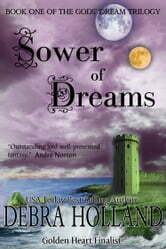 "Desert and sea both provide vivid backgrounds for action and real emotion in Sower of Dreams--outstanding and well-presented fantasy, which will keep the book in one's hands, eyes on the page--a GOOD READ." This book described everything, every place, so well that you could pictured yourself in the book. I am not used to read this kind of books but, it still got myself hooked till the end of the book. I highly recommend this book. Can't wait to read the next one! I liked it but not enough to want to continue with the following volumes. I am satisfied leaving the series after book one. Couldn't put it down. I loved the worlds the author created, I've never read much fantasy before but I loved the characters and the vivid descriptions of action scenes. Can't wait for the next instalment.